Know how to play online slots? You're about to perform the greatest stunt in history. You're going to rob a bank and no one is going to even notice. Hold the safe is a 5 reel, 20 payline slot by Eyecon with a bank robbery theme. Your mission is to get to that safe and unlock it without getting caught. You may have to fight some hurdles along the way, but the mountain of cash at the end will be worth it. Hold the Safe has a fairly simple design but it's really golden which is hopefully a sign of what is to come. There are many fun features to help you crack the code including a free spins feature which can be unlocked up to 50 times and an exciting hold the safe feature. 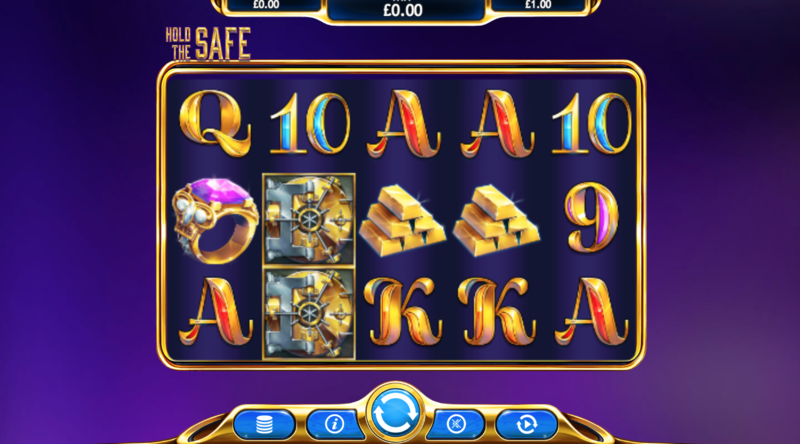 Hold the Safe is a 5 reel, 20 payline slot created by Eyecon with an entertaining bank robbery theme. Your quest is to rob the bank and crack the code as quickly and effectively as possible. Climbing over laser trip wires, getting past security, and alarms sounding off are all obstacles that you may face. Behind the golden trim reels, you'll see a very plain purple background. The symbols include flashy playing card suits 10, K, Q, J, and A as well as a pyramid of golden bars, suitcases filled with cash, a bag full of jewels, a watch, and a sparkly ring. Free Spins Feature - Activate the free spins feature by landing 3 or more diamond symbols. Here you will be awarded 6 free games. The free spins feature can be activated up to 50 times giving you the chance to create lots of glistening wins. Hold the Safe Feature - Trigger the hold the safe feature by landing 3 or safer scatters. Once unlocked, you'll be awarded 3 free spins. These safe symbols will stay on the reels until the feature is over. Additional safe symbols can appear on the reels with every spin. This awards you with an extra 3 free spins. When there are no more safe symbols or when you have found the maximum amount of safe symbols, the feature will end. The hold the safe feature awards up to 500x your stake. Eyecon is one of the most iconic online casino developers in the entertainment industry. They have over 20 years worth of experience in creating online games people love so you know that when you play an Eyecon slot, it's going to be a fantastic experience. You can learn more here! Hold the Safe is a great all-rounder. The bank robbery theme is fun and exciting and gameplay is nice and straightforward. The design is quite simple, however, the sparkly diamonds and jewels make it look more captivating. 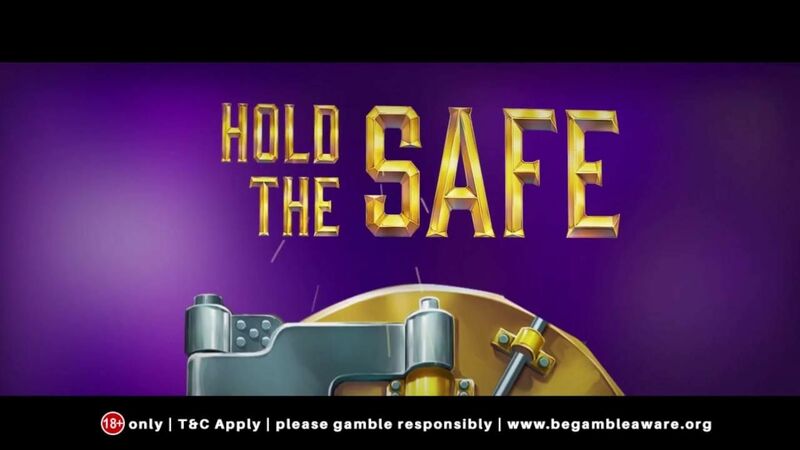 There aren't a lot of features but you can win up to 500x your stake in the hold the safe feature here at Easy.